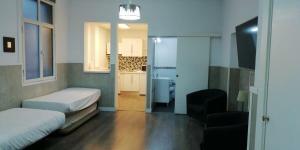 Very close to center, very clean and big apartment, the host was great, attentive and cordial. Excellent place to stay. The location is exactly in the center, metro station is in in front of the building. 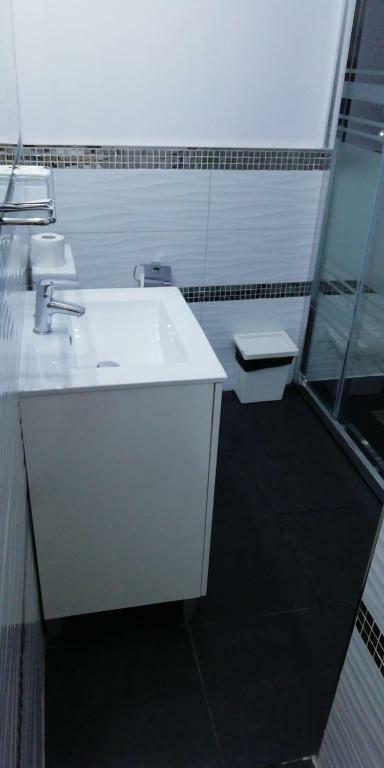 Property is in the city center and everything is nearby. Great location. In the heart of touristic and shop center of Madrid. Easy to collect keys even if you arrive late in the night. Lots of space. Facilities and forniture are OK: frigo, microwave, (small) tv, (poor) WiFi... And just a 5 floors "voyage" to the very center of Spanish capital. They created a WhatsApp group to coordinate the key pickup which was very cool. But they could indicate better how to collect the keys and how to leave them. Lock in a great price for Apartamentos Sol Mayor – rated 8 by recent guests! One of our best sellers in Madrid! 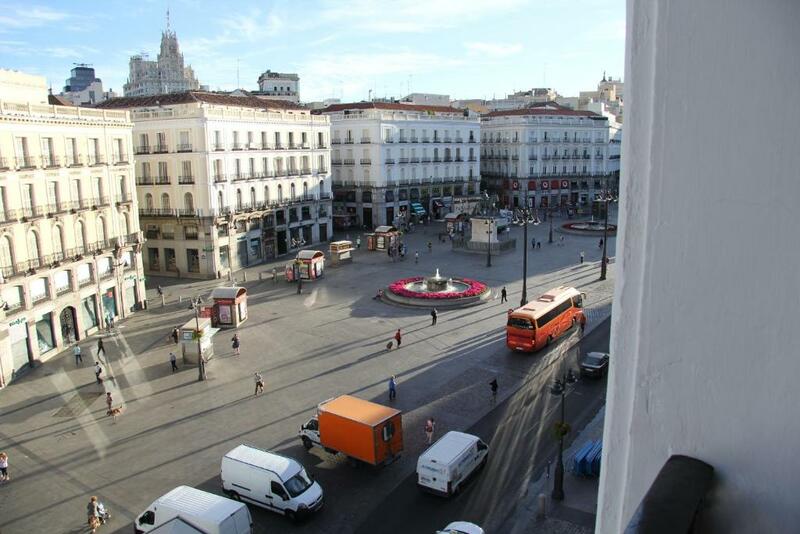 Apartamentos Sol Mayor has an ideal location next to Madrid’s Puerta del Sol, 500 feet from Plaza Mayor. Each apartment features free Wi-Fi and a TV. The Sol Mayor Apartments are air-conditioned and heated. 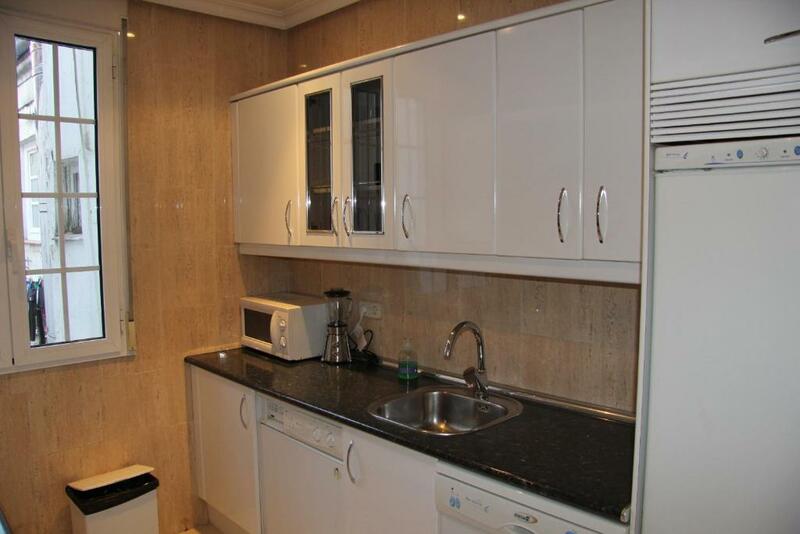 The kitchens include a fridge, microwave and stove. Sol Metro Station is less than 150 feet from the Sol Mayor Apartments. Madrid’s main shopping streets are within a 2-minute walk, and there are plenty of bars and restaurants in lively Plaza Mayor. The world-famous Prado Museum is a 20-minute walk away. When would you like to stay at Apartamentos Sol Mayor? This air-conditioned, one-bedroom apartment has free Wi-Fi and a TV. It has central heating and the kitchen includes a fridge, microwave and stove. This air-conditioned, 2-bedroom apartment has free Wi-Fi and a TV. It has central heating and the kitchen has a fridge, microwave and stove. This air-conditioned, 3-bedroom apartment has free Wi-Fi and a TV. It has central heating and the kitchen has a fridge, microwave and stove. 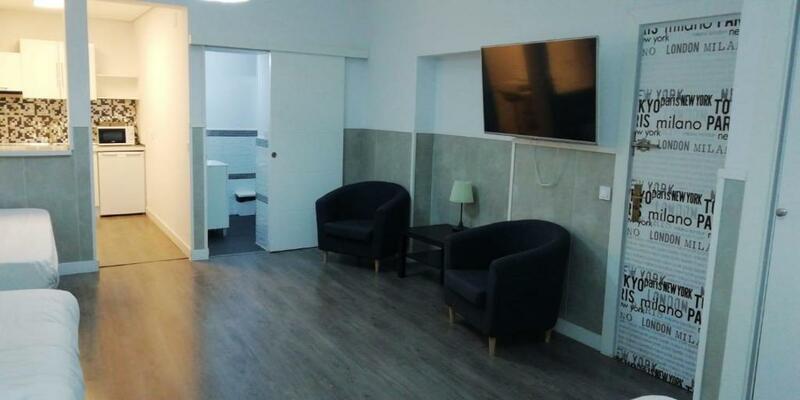 This air-conditioned studio apartment has free Wi-Fi and a TV. It has central heating and the kitchen has a fridge, microwave and stove. 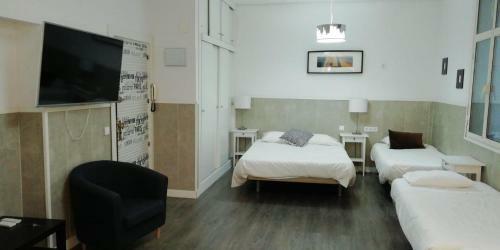 This air-conditioned studio apartment has 1 double bed and 4 single beds. 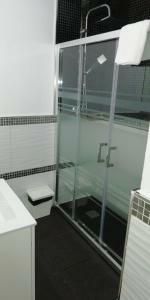 Featuring free WiFi and a TV, it also has central heating and the kitchen includes a fridge, microwave and hob. This air-conditioned studio has a closet, washing machine and a kitchenette with microwave and fridge. This air-conditioned studio has one double and 2 single beds. 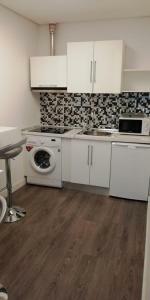 Studios include a wardrobe, washing machine and a kitchenette with microwave and fridge. This apartment has a seating area, microwave and sofa. 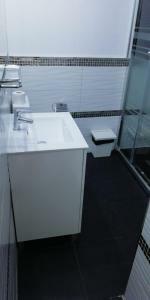 Located on a 5th floor, accessible through a flight of stairs, this studio features a washing machine, sofa and seating area. This apartment features a sofa, microwave and washing machine. 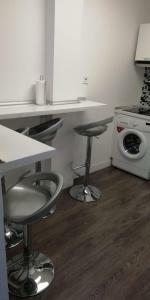 This studio has a kitchenware, sofa and washing machine. This studio features a microwave, seating area and air conditioning. 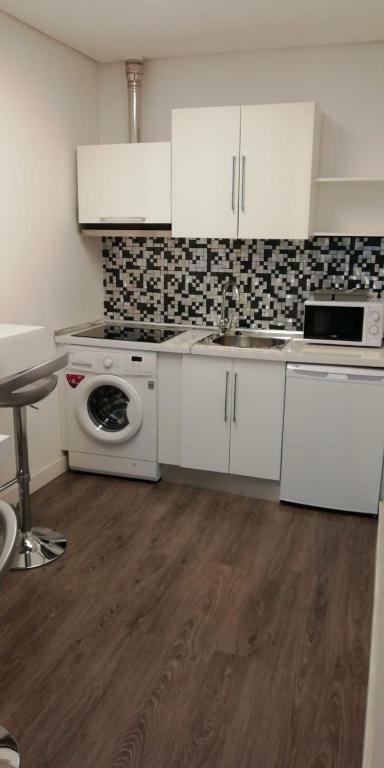 This studio features air conditioning, kitchenware and washing machine. House Rules Apartamentos Sol Mayor takes special requests – add in the next step! Apartamentos Sol Mayor accepts these cards and reserves the right to temporarily hold an amount prior to arrival. Please contact the property 30 minutes before your arrival time using the number provided on the booking confirmation. If you expect to arrive outside reception opening hours, please inform Apartamentos Sol Mayor in advance. Please note that check-in after 22:30 carries a surcharge of EUR 25. The entire building is not suitable for people in a wheelchair. For groups of 6 people or more, please note that a damage deposit of EUR 150 is required and will be refunded upon check out. Please note that check-in and key collection take place at: Portal del edificio Luckia hay un telefonillo, marcar botón 24 o 25 para entregar la llave, Madrid 28013. All was good. Just they could coordinate little better with the keys. The WiFi did not work at all. We all tried many times but it did not work. If you improve your WiFi connection, we would refer this hotel to others or come back and stay again. Requires deep refurbishment. Bathroom too small. A lot of noice in the night you can hear the ‘drunken people outside’ at least when you have a room facing ‘sol’ square. The beds could be better, need for replacement. Very close to the center and metro. The noise from the neighbourhood. This is a penalty for the extreme value for money. Tenian un evento cerca y nos toco esperar casi 3 horas para entrar al apartamento. The appartment is very small and basic. The badrooms has the dimensions almost as the beds.